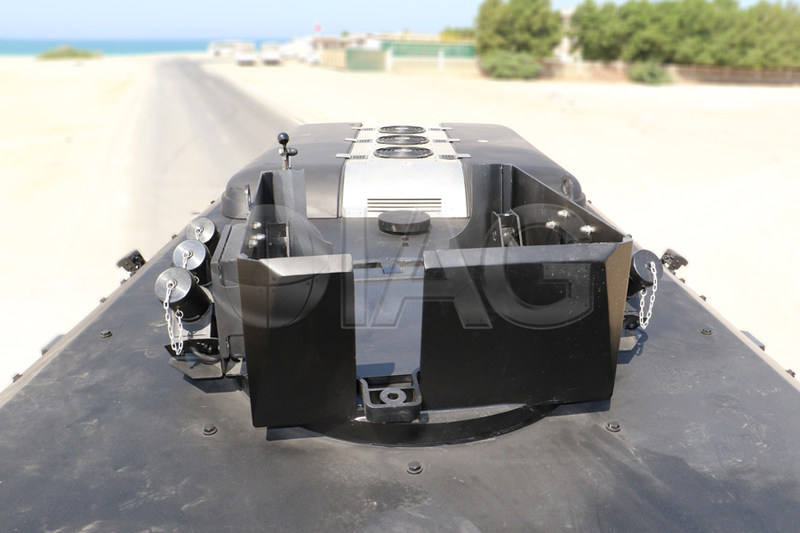 IAG’s state of the art Armored Anti-Riot Truck is engineered from the ground up. 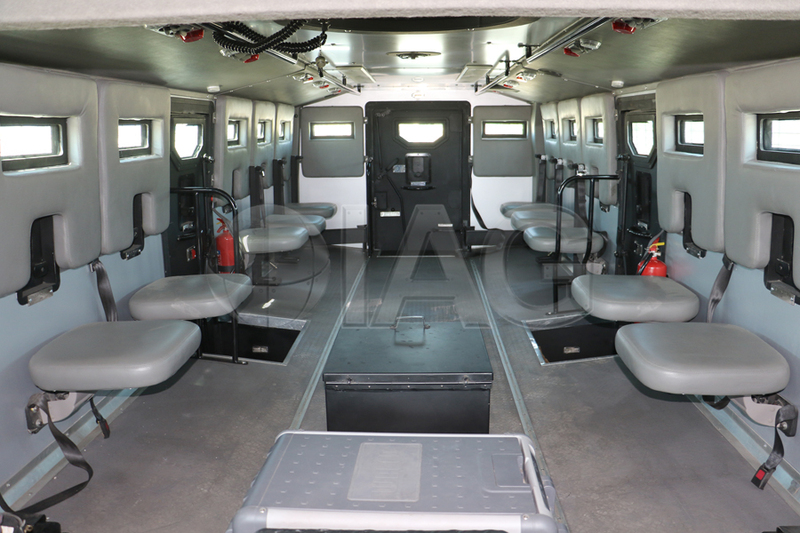 The fully armored vehicle seats up to twelve personnel and is capable of providing ballistic, mine-blast and IED protection as it can be armored up to CEN B7/NIJ Level IV and STANAG Level I and II. 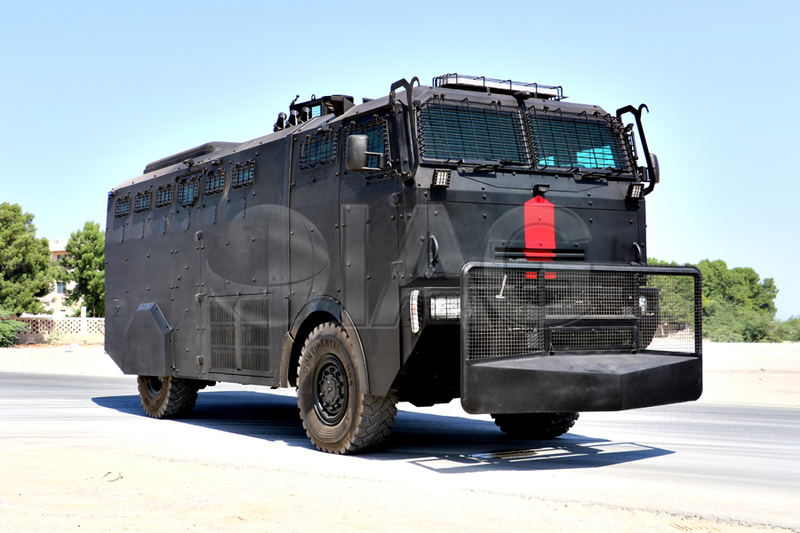 The Armored Anti-Riot vehicle comes equipped a heavy duty detachable hydraulic ram system to displace roadblocks, as well as a roof-mounted 360 degree turret with optional custom mounts for 7.62mm or .50 Cal machine guns with remote firing station and optional grenade launcher pods reloadable from the inside. 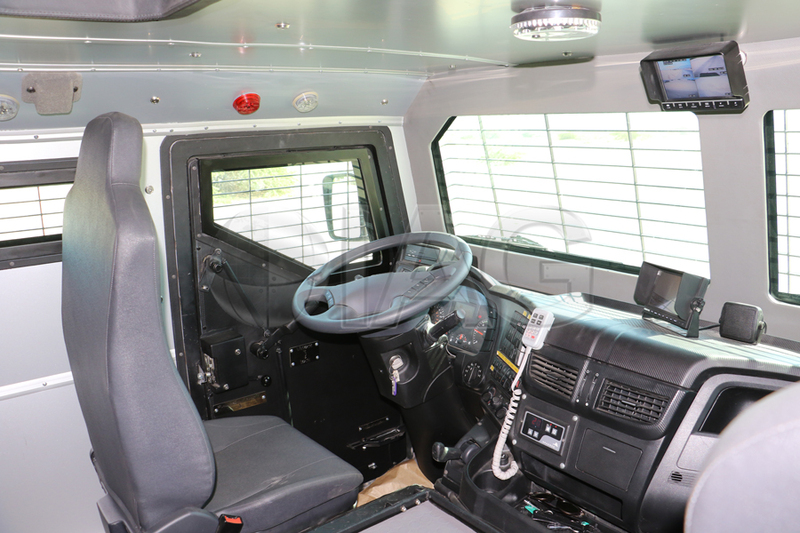 The vehicle is also equipped with a state of the art Command Control System that holds an integration of surveillance cameras, night vision capabilities, PA system with strobe lights, roof monitors as well as fire suppression systems. 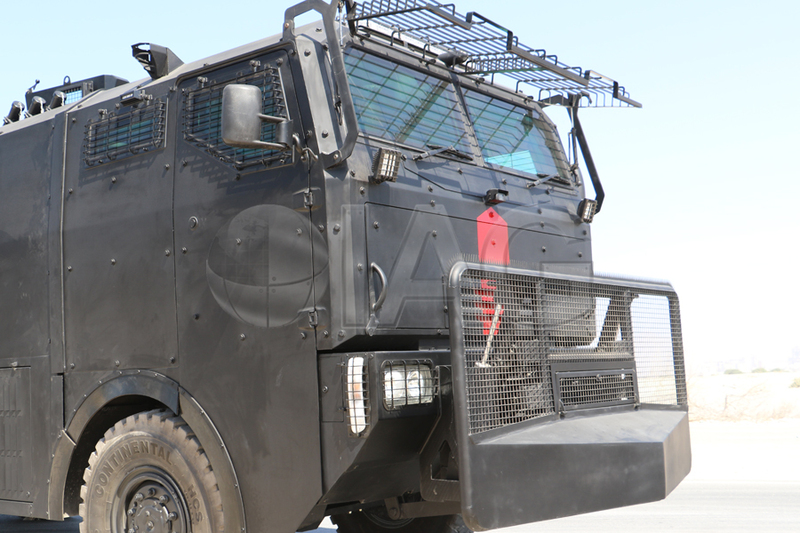 The Armored Anti-Riot vehicle is an excellent solution for various scenarios including riot control, deploying security personnel, preserving peace and order, as well as acting as a support for reconnaissance and patrolling duties. 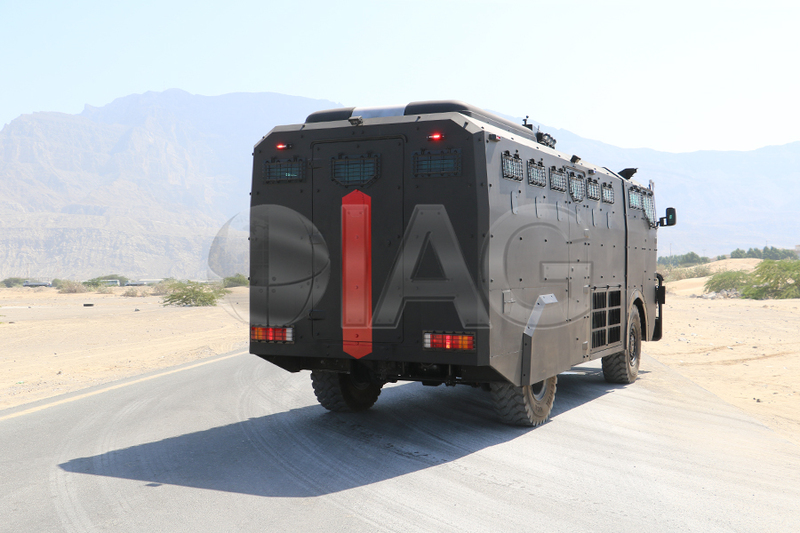 The vehicle’s fully armored body and vital features such as the hydraulic ram/barricade removal system allow the vehicle to act as a front-line defense in hostile situations and fragile scenarios. 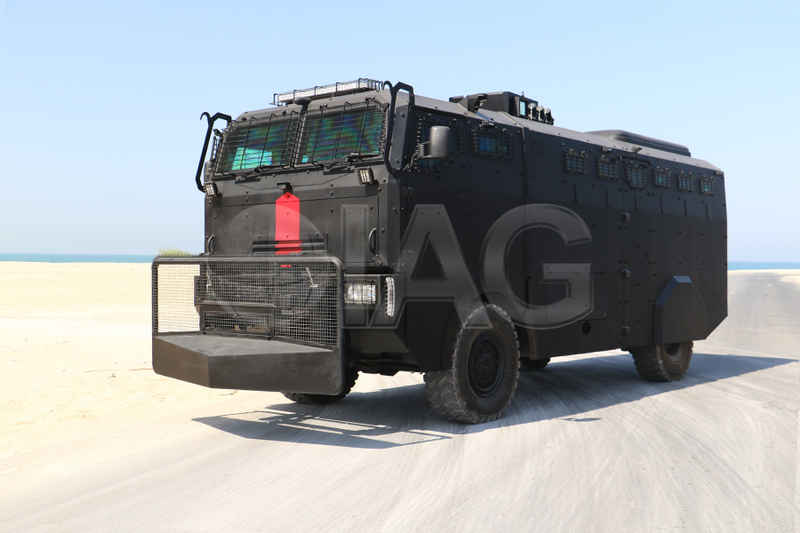 Please be advised that the IAG Armored Anti-Riot Truck is available to Government, Military and Law Enforcement only.